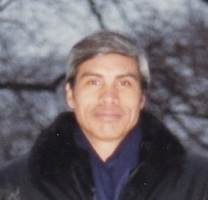 Provide comfort for the family of Arturo Chavez with a meaningful gesture of sympathy. Consider providing a gift of comfort for the family of Arturo Chavez by sending flowers. We encourage you to share your most beloved memories of Arturo here, so that the family and other loved ones can always see it. You can upload cherished photographs, or share your favorite stories, and can even comment on those shared by others. To the family, I express my deepest condolences for the loss of your love one. In the Bible, God expresses death as a "sting." (1 Corinthians 15:55,56) So this means that behind death, there is a painful hurt. He also knows what it is like to experience losing a love one as "he did not spare his own son but handed him over for us all." (Romans 8:32) But soon God will do something amazing. "All those in the memorial tombs will hear his voice and come out." (John 5:28,29) God will use his Son to bring back all our dead loved ones to life! What a joy that will be! There, God "will wipe out every tear from (our) eyes and death will be no more neither mourning nor outcry nor pain be anymore. "(Revelation 21:4) So yes, although experiencing the temporary sting of death, we will have the prospect of joy living on a paradise earth free of death forever! This is where more Bible truths await us all. Please visit the website in hopes to add more comfort to your hearts. (2 Corinthians 1:3) Again, sorry for your loss.